F.C. T U C K E R CO M PA NY, I N C. 317.590.7871 # 1 Again! for the 31 st time # 1 Again! 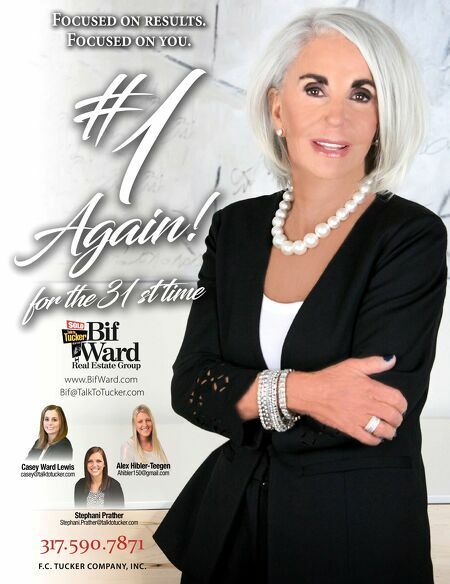 for the 31 st time www.Bif Ward.com Bif@TalkToTucker.com Alex Hibler-Teegen Ahibler150@gmail.com Stephani Prather Stephani.Prather@talktotucker.com Casey Ward Lewis casey@talktotucker.com Focused on results. Focused on you.